As Headteacher of St Mark's Primary School, I am delighted to be able to welcome you to our school website. Navigation through the various sections will give you an insight into life at St Mark's and a wealth of information for children, and for current and prospective parents. 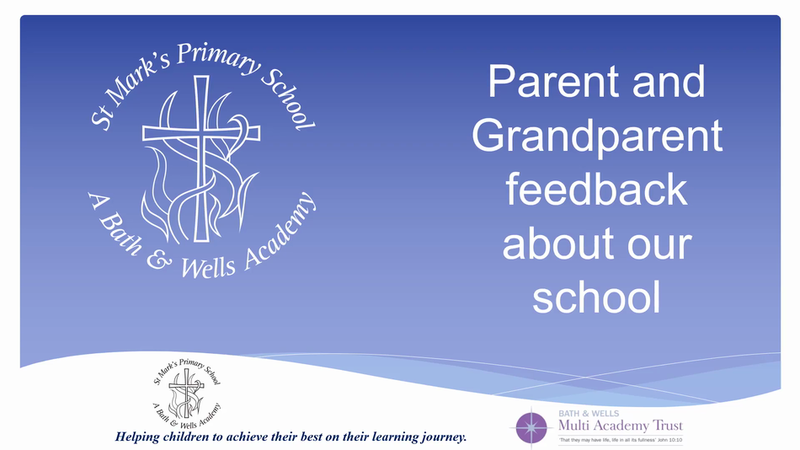 We became part of the Bath & Wells Multi Academy Trust in September 2016. Our school name is now St Mark's Ecumenical Anglican/Methodist Primary School. Our school mission statement is 'Helping children to achieve their best on their learning journey' and our school vision statement is ‘Igniting the fire for learning’. Pupils say they are proud of their school; they learn with confidence; have outstanding behaviour; are considerate towards one another and attain consistently above average results, preparing them well for the next stage of their learning journey. Our Christian Ethos and Values are central to the life of St Mark's School ensuring that everyone feels cared for and valued. Our Core Christian Values are: Hope, Honesty, Friendship, Forgiveness and Perseverance. At St Mark's we celebrate the uniqueness of each child. We have high aspirations for them whilst on their learning journey with us in laying firm foundations for their future lives. As summed up by one of our pupils recently, "St Mark's is a family of friends". Please watch the short video below which captures the true essence of St Mark's.